There is a lot of potential there. just too pricy for a chinesium gun! but why would you wanna aow if its presently OTC? 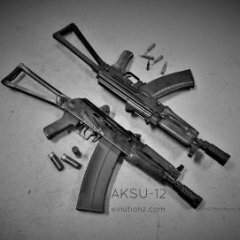 i emailed K-usa and they said their receiver is the "gun" i think the s-12 is the front trunnion, what about the vepr? It can be made a lot shorter and lighter by doing a 6.5" or 8" AOW with the gas system relocated. It will also run much better on a wide range of loads. It is indeed cool, but some people want more than what it offers as-is in the envelope of 'other'. Wherever the serial number is the 'gun' is. Vepr-12 serial number is on the trunnion. My 6.5" carrier comes well out of the gas tube. I'm sure you've seen it run by now. I have a means of addressing it. Where is this tab you are talking about? Just put 150 slugs through mine today, nothing broke but the gas adjuster is going in the garbage. Not as bad as I thought it would be with the brace. dont trash it send it to me! looks good how it run? i wont buy one but i love the idea of it! The tab is typically welded to the front underside of the dust cover. The carrier bounces up as the rod stub leaves the tube. The tab reduces the amount of pry and resistance the bounce can cause against the rails and also keeps the stub down low enough that it doesn’t crash into the the upper edge of the tube on it’s return. Ill have to get me one of those Spetz and check out what they are doing. Oh yeah, that tab. I don't do it so quick and dirty. Mine isn't that simple or a welded shim and takes a lot longer to do, but works extremely well. Do you know if the gas plug is the stock Lynx plug? Can you post a picture of it? After slot of effort and twice in the ultrasonic I finally got it off. 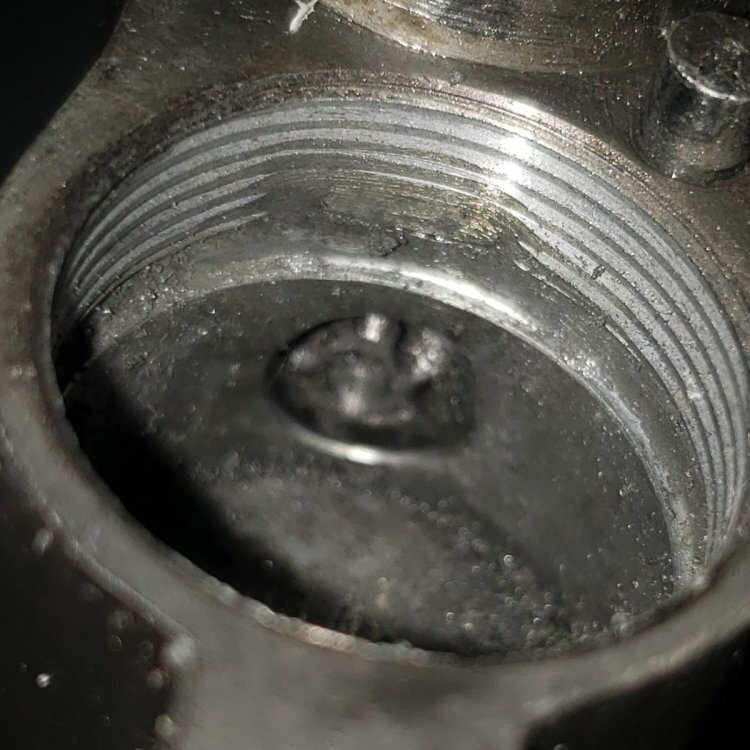 Kinda looks like my gas block threads may be a bit jacked, anyone know the size? There is a cause to everything. From here, it looks like the pin was drilled at an angle instead of horizontally. Where this pin is visible on the outside of the gas block does it look like the hole is much higher on the left side of the gun than the right side. If it is in there at an angle and the cause of the thread issues a tap should cut threads in the pin just fine, but if the pin is ever removed it is going to have to go back in exactly like it came out or you will need to run a tap through it again. I have a pretty busy day today, but if I can remember I'll check a Saiga-12 gas regulator and see what the threading is. It looks like it is at an angle. 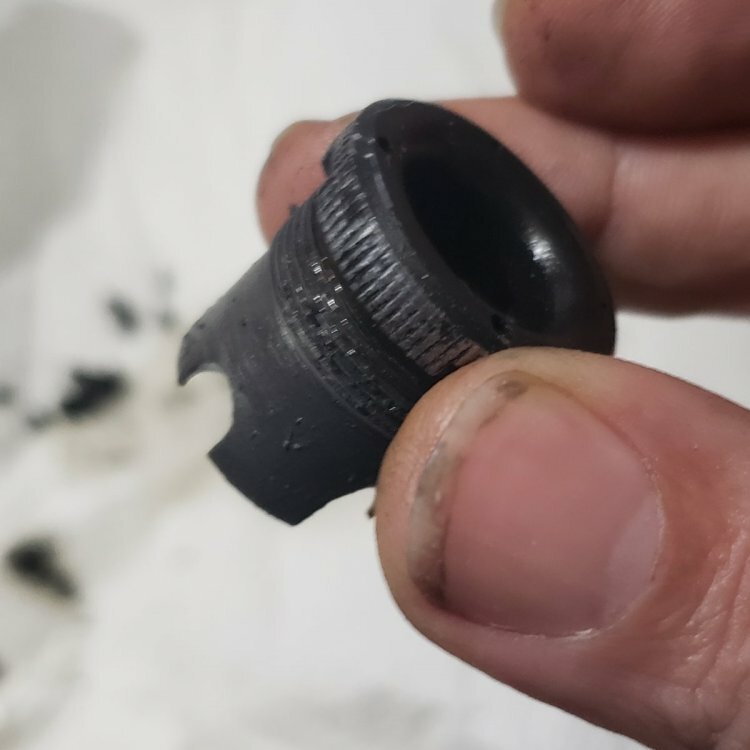 Kind of a redneck test but putting in the plug a couple a couple times when clean it looks like the lead thread on the gas plug gets folded over a tiny bit so I'm guessing its hitting the pin as it goes all the way in. New gas plug and a bit of thread chasing should fix it. After 300 slugs on position 1 (150 each range visit) gun is running ok but won't feed more then 5 rounds out of a magazine and dosent like the drums at all. Position 2 felt over gassed with same slugs. Guessing to much drag with mag tension. Dont want to smooth anything out till I figure out the muzzle threads since AWS is very clear that warranty is void if you do just about anything to it. Assuming it is the same, threads are 21x1.0 RH. It may be a pain in the arsenhoffler to find that tap for a fair price. Can't believe I found it. Wow not only did you find it you found it cheap. Barrel should be m22x.75 correct? Might as well grab the tap and die for that too from the same place. I think I'm about to order that tap too. Even Saiga-12 gas blocks are a bit goofy. This could save me some time. The number 2 setting is way too much gas for some high brass rounds. The number 1 setting is not enough for most. It is a poorly thought out gas plug. Better than the original Saiga-12 gas plug though. Couple tips grease the gas plus and dremel a grove like the Saiga 12 for easier removal also use a high temp grease on the threads only! Also I had to trim all my mag springs by 3" as the mags are over sprung. I have had to use a dental pic on the S-12 threads. The blind plug takes a beating every time you shoot.